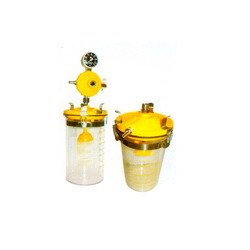 We are a prominent organization engaged in offering an assortment of Ward Suction Unit. 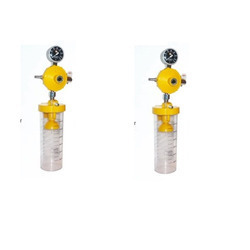 Our dedicated workers manufacture these products by making use of excellent quality raw material and latest technologies as per the specifications provided by the patrons. To ensure the flawlessness of our range, these products are rigorously examined by our quality controllers on different parameters. Longer service life, excellent performance and low maintenance cost are some of its features. We are instrumental in offering a wide and commendable array of Ward Vacuum Unit to the clients. Developed in compliance with the international quality standard, our range of products is manufactured using high grade raw material and modern technology. These products can also be utilize by our clients in different specifications as per their requirements and demands. Our experience of this industry has enabled us to offer Ward Vacuum Unit. Owing to their high efficiency and minimum servicing, these products are widely demanded by the customers on large number of scale. Having the capacity of 600/1000/2000 ml, our range is acknowledged for their low cost maintenance, longer service life and high performance properties. Clients can avail from us an excellent gamut of Ward Vacuum Unit. The offered range of unit have the capacity of 600/1000/2000 ml, which is precisely designed for high efficiency and minimum servicing. These ward vacuum units have regulator body that houses a regulation knob, on/off knob, vacuum gauge graduated in millibar. Our clients can utilize this range according to their requirements.